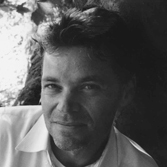 Mark Kingwell is a philosopher at the University of Toronto. His work in political theory, ethics, aesthetics, and criticism has made him one of Canada’s most renowned public intellectuals. And he’s the reason Barry became a philosophy major. (We’ll see how that turns out.) We spoke with Mark about his childhood obsession with Trudeau-era nationalism, living in Kensington Market as an undergrad, and the intersection of philosophy and pop culture. Mark also spoke about the tension of working within elitist institutions, civility’s relationship with political violence, and how it’s kind of hard to beat what we got going on in Hogtown.